Get the Euclid set for $8 by adding both the hat and cowl to your cart. No code necessary. Previous purchases do not apply. 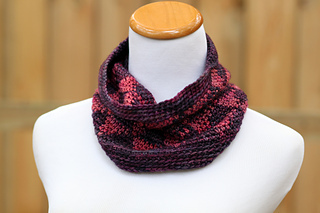 The Euclid Cowl is a two-color tapestry crochet cowl worked in sport weight yarn. The pattern comes in two lengths: the shorter version shown, and a longer version that can be wrapped twice for extra warmth. 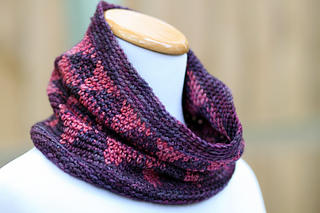 The cowl pairs with the Euclid Hat for a matching set and uses American crochet terms. This pattern was tech edited by Chaitanya Muralidhara. 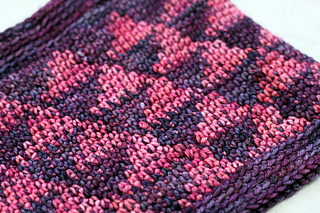 Note: In order to crochet both the hat and the small cowl from one skein of each color of Malabrigo Arroyo, the pattern is written such that the MC of the cowl is the CC of the hat, and vice versa.